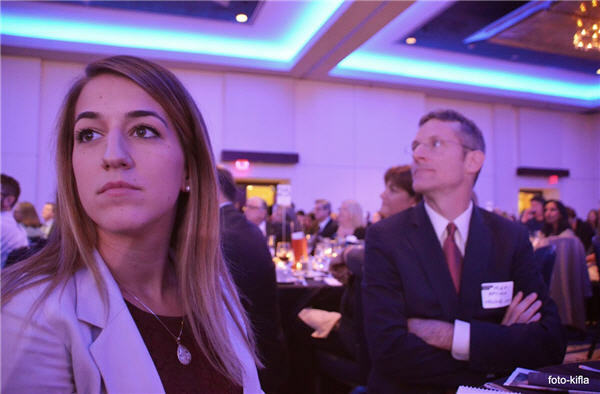 Ana Komnenic and Michael McCrae at the Jack Webster Awards in Oct. 2014. MINING.com was unable to attend the COPA awards ceremony on Thursday. Photo credit to Mladen Komnenic. 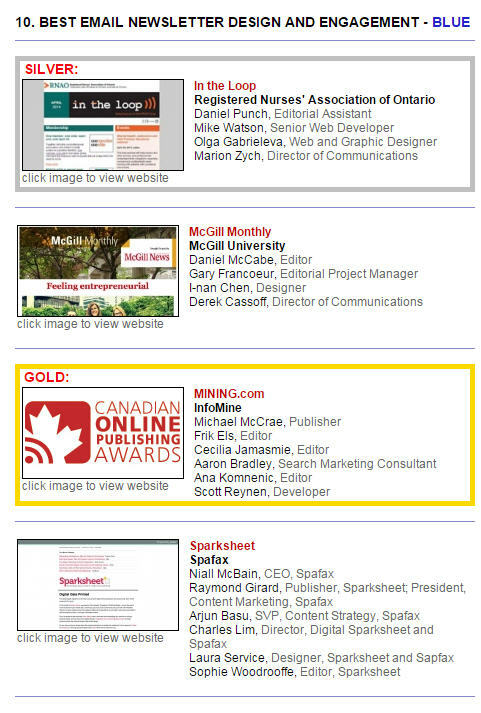 MINING.com is a Canadian Online Publishing Awards gold winner in the category Best Email Newsletter Design and Engagement, trade publication category. The award ceremony was held last night in Toronto. MINING.com also won silver in the categories Best Online Campaign and Best Use of Social Media. "Three other people who were not mentioned and helped develop our email are Ping Chan, Dave Arthur and Mansur Mirani," say Michael McCrae, MINING.com publisher. Canadian Online Publishing Awards mission is to foster "digital publishing excellence in Canada." In September MINING.com was a Jack Webster Award finalist. UPDATED: Other contributors were added. Screen grab from the Canadian Online Publisher Awards website.